A Jewish Buddhist (also Jewbu, Jewboo, Jubu, Buju, etc.) is a person with a Jewish background who practices forms of Buddhist meditation and spirituality. 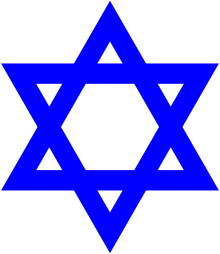 The term Jubu was first brought into wide circulation with the publication of The Jew in the Lotus (1994) by Rodger Kamenetz. In some cases, the term can refer to individuals who practice both traditions; in other cases, Jewish is an ethnic designation where the person's main religious practice is Buddhism. In yet other cases, a Jubu is simply a Jew with an interest in Buddhism. A large demographic of Jewish Buddhists, constituting its majority, still maintain religious practices and beliefs in Judaism coupled with Buddhist practices and perhaps beliefs. The first recorded instance of an American being converted to Buddhism on American soil occurred at the 1893 exposition on world religions; the convert was a Jewish man named Charles Strauss. He declared himself a Buddhist at a public lecture that followed the World Conference on Religions in 1893. Strauss later became an author and leading expositor of Buddhism in the West. After World War II there was increasing interest in Buddhism, associated with the Beat generation. Zen was the most important influence at that time. A new wave of Jews became involved with Buddhism in the late 1960s. Prominent teachers included Joseph Goldstein, Jack Kornfield and Sharon Salzberg who founded the Insight Meditation Society, Sylvia Boorstein who teaches at Spirit Rock Meditation Center, all of whom learned vipassana meditation primarily through Thai teachers. Another generation of Jews as Buddhist teachers emerged in the early 2000s, including author Taro Gold, expounding Japanese traditions such as Nichiren Buddhism. According to the Ten Commandments and classical Jewish law (halacha), it is forbidden for any Jew to worship any deity other than the God of Israel – specifically by bowing, offering incense, sacrifices and/or poured libations. It is likewise forbidden to join or serve in another religion because doing so would render such an individual an apostate or an idol worshipper. Since most Buddhists do not consider the Buddha to have been a god, Jewish Buddhists do not consider Buddhist practice to be worship. This is despite incense and food offerings made to a statue of the Buddha, and both prostration and bowing done before a statue of the Buddha. 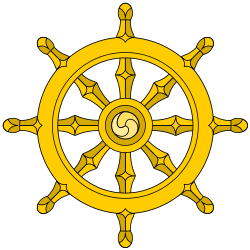 In addition, many Buddhists (particularly Theravada Buddhists) do not worship the Buddha but instead "revere" and "express gratitude" for the Buddha's (and all buddhas') accomplishment and compassionate teaching (that is, discovering and teaching the Dharma so others might be released from suffering and achieve Nirvana). ↑ "An Interview with Ven. Bhikkhu Bodhi". Urban Dharma. Retrieved September 11, 2015. ↑ "Daikini Power". Retrieved September 11, 2015. ↑ See Larry Rohter, "On the Road, for Reasons Practical and Spiritual." The New York Times, 25 February 2009. For an extended discussion of the Jewish mystical and Buddhist motifs in Cohen's songs and poems, see Elliot R. Wolfson, "New Jerusalem Glowing: Songs and Poems of Leonard Cohen in a Kabbalistic Key," Kabbalah: A Journal for the Study of Jewish Mystical Texts 15 (2006): 103–152. ↑ Das, Surya (1998). Awakening the Buddha Within: Tibetan Wisdom for the Western World. Broadway. p. 40. ISBN 0-7679-0157-6. ↑ De Vries, Hilary (November 21, 2004). "Robert Downey Jr.: The Album". The New York Times. Retrieved May 6, 2010. ↑ "You Can't Fail at Meditation". Lion's Roar. April 12, 2015. Retrieved September 11, 2015. ↑ "Swimming Heroes From the past" (PDF). Splash Magazine. Retrieved September 11, 2015. ↑ Loundon, Sumi (2006). The Buddha's Apprentices: More Voices of Young Buddhists. Boston: Wisdom Publications. pp. 125–130. ISBN 086171332X. ↑ Ginsberg, Allen (April 3, 2015). "The Vomit of a Mad Tyger". Lion's Roar. Retrieved September 11, 2015. ↑ Christopher S. Queen. "Buddhism, activism, and Unknowing: a day with Bernie Glassman (interview with Zen Peacemaker Order founder)". Tikkun. 13 (1): 64–66. Retrieved 2010-12-14. ↑ "Natalie Goldberg & Beate Stolte: A Jew in Germany". Upaya Institute and Zen Center. June 28, 2010. Retrieved September 11, 2015. ↑ "Will Mindfulness Change the World? Daniel Goleman Isn't Sure". Religion Dispatches. November 15, 2013. Retrieved September 11, 2015. ↑ "Multiple Religious Identities: The Experiences of Four Jewish Buddhist Teachers" (PDF). Retrieved September 11, 2015. ↑ "CNN.com". CNN. Retrieved May 6, 2010. ↑ Paskin, Willa (September 9, 2012). "Mandy Patinkin on Season Two of 'Homeland'". New York Magazine. Retrieved September 11, 2015. ↑ "Jeremy's journey". Star-ecentral.com. 2006-10-17. Archived from the original on January 10, 2016. Retrieved 2015-09-11. ↑ "The Art of Doing Nothing: Amy Gross interviews Larry Rosenberg". Tricycle: The Buddhist Review. Spring 1998. Retrieved September 11, 2015. ↑ "Yid Lit: Sharon Salzberg". The Forward. February 24, 2011. Retrieved September 11, 2015. ↑ "Buddhism and Judaism: Exploring the phenomenon of the JuBu". Thubten Chodron. March 19, 2010. Retrieved September 11, 2015. ↑ "The Jewish-Buddhist Encounter". MyJewishLearning. Retrieved September 11, 2015. ↑ "Buddhism In America". Time. October 13, 1997. ↑ "The Point of Contact". Shinzen Young. Fall 2005. Retrieved September 11, 2015.